I have been highlighting the issue of authority and submission to authority in several of my recent blogs. I am giving so much attention to this subject because I believe it is so essential to Christians living a life that is pleasing to God. After all, every person is under some authority and everyone exercises some authority over someone else in some way or another. When trying to understand authority, it is important to define the term accurately. I have used a couple of definitions to help me understand this all-important area of life. 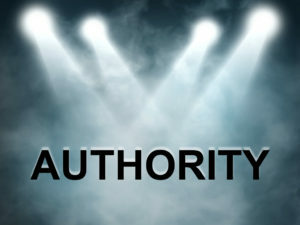 Authority is the right or power to command and exact obedience and/or an accepted source of expert information. The careful and responsible management of something entrusted to one’s care. In order for something to be entrusted in to one’s care, someone else must first own that something. That person must have the power to give what he/she owns to another person’s care. 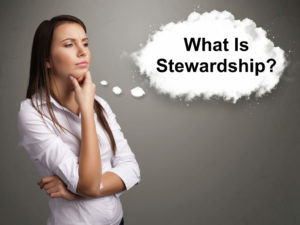 When I considered the many aspects of stewardship found in Scripture, I defined stewardship this way. It is the use and/or management of something that an owner gives to me in order for the owner to receive gain or profit. Another way of putting this is what someone posted online. The person made this statement. Stewardship is the maximizing God’s blessings for His glory! This is clearly the concept that one finds when reading the parable of the talents in the gospels. The owner gave certain amounts of his talents to three servants. The servants who managed the owner’s talents and produced a profit for him were praised and rewarded. However, the one servant who did nothing with the owner’s property and simply returned what he had been given back to the owner was criticized and lost everything. Based on these definitions, I believe that authority, when properly understood, becomes a stewardship responsibility. Christians believe that God is the creator of the universe and is sovereign over all things. God is literally the owner of everything that exists in both heaven and earth. This means that He has ultimate authority over everything. He, alone, has the right and power to command and exact obedience from the entire created universe. He not only has the authority over all people but also over all of creation. This is seen when Jesus told the wind and the waves to be still and they obeyed. It can be said that God is authority! Who has given Jesus all authority? It is God the Father who has done this. The Father can do this because He is the supreme ruler of all things. Consider these verses. Scripture also makes it clear that God gives a portion of His ultimate authority to man. Consider the following verses. Since God “owns” or “is” authority, any authority I might possess has to have been given to me by God. 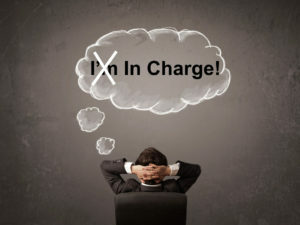 In line with all the other stewardship responsibilities that God has given me, I must use, manage, and/or invest my authority in such a way that it will bring Him gain or profit. This is in essence what it means to glorify God. The stewardship of my authority as a parent, teacher, administrator, church member, etc. must be exercised in such a way that it brings Him glory. Here are some question that come to my mind when I think about the authority that God has given me. How would you answer them? Better yet, how would those whom you have authority over answer these questions? Have you looked at any authority you might have as being given to you by God? Since any authority you have has been given to you by God, what are some of the ways that you should exercise that authority so that God will be glorified? In what ways have you been a poor steward of the authority God has given you in some area(s) of life? What are some things you will do in the future as you steward the authority that God has given you? I always appreciate your comments that you can leave below. Next week I am going to share a model of authority that has helped me be a better steward of any and all authority God has given to me. Well said, Glen. I find Psalm 115:16 particularly significant (along with Gen. 1:26-28 and Psalm 8): “The heaven, even the heavens, are the Lord’s; but the earth hath He given to the children of men.” The Lord created human beings to be stewards of Planet Earth. This is a mind-boggling truth. It is also a lost purpose for education. We are to equip the next generation to govern well over this material world. When this happens, God is glorified. Truly awesome. This topic is timely in our church structure we are at the crest of changes and this was so prophetic to our spirit. We believe God is organizing us for the influx of this next generation but when family is involved it can get pretty challenging to say the least. Keep them coming and keep us in your prayers. Thank you for a fresh breath of wind.